Land of the Rising Salmon, as survey respondents choose their favourite fish. Think of Japanese cuisine, and chances are the first thing that pops into your head is sushi. But there’s so much more to seafood in Japan than slices of raw fish on little lumps of rice, so if you need some advice on what fish you should be eating, you could do worse than asking a Japanese person (many of whom, thanks to an exhaustive investigation, we know can differentiate between fresh fish and thawed-out frozen defrosted fish). 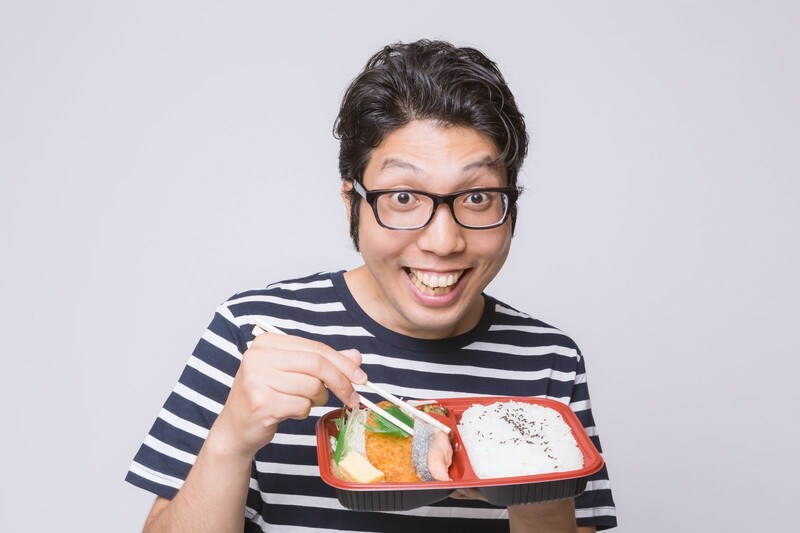 In a recent survey 1,000 Japanese men and women aged 20 to 60 were asked to list the fish they like most, how often they ate fish, and how they liked it cooked (or not). ▼ When a boy sushi and a girl sushi love each other very much, a baby sushi is born. The majority of respondents answered that the ate fish multiple times a week. The key determining factor in how they liked to cook their fish seemed to be decided by expediency, the quicker and easier to prepare the better, although cooked fish triumphed over raw. Over 70 percent choose to grill fish fillets, 63.8 percent and 50.4 percent going for sashimi and sushi respectively when asked how they liked their fish prepared. While the googly eyes looking up at you with horror may put off some eaters, shishamo still made it into the top ten with around a third of respondents saying that they liked them. Often found in izakaya (pubs), shishamo are usually grilled whole, and eaten with lemon, salt and all of their bones still in place. While Japanese yellowtail can usually be found in sushi restaurants or as sashimi, it’s also a delicious winter food when it’s slow-stewed with soy sauce, mirin and sugar alongside vegetables like Japanese daikon radish. Sea bream is associated with good luck and celebrations, and as such is often served at weddings or festive occasions but there’s no reason not to celebrate any day of the week with a fish that is delicious both in sashimi form and grilled. While bonito flakes are delicious on takyoyaki or okonomiyaki, the dish called katsuo tataki, where only the outside of the fish is grilled or flash-fried, and the middle remains raw, is particularly good. With a slightly meaty texture, and slathered in rich sauce, eel on a bed of rice makes for a filling meal, particularly as the weather turns cooler but eating it in summer is alleged to help Japanese people beat the insane heat and humidity. While the tinned mackerel on toast I was used to before coming to Japan never stopped being delicious, one of the best ways to eat mackerel is in battera, an Osakan specialty where mackerel pickled in vinegar is coupled with vinegared rice and konbu kelp. As well as sushi, or in pressed oshizushi as in the picture above, horse mackerel is often deep-fried. Pacific saury is strongly associated with autumn, so much so the kanji character for autumn (秋) is part of the kanji for sanma (秋刀魚). Like shishamo, saury is one of the easiest fish in the list to cook because it’s usually just grilled whole. Even the tiniest of Japanese kitchens will have a toaster oven in which to cook it, probably one of the reasons it’s so popular, although you may have to put up with the fairly strong smell for several days/weeks afterwards. Probably the fish you think of when you think of sushi, and the favourite fish overall among male respondents to the survey, the bluefin tuna just missed out on the top spot. Also known as the dog salmon, chum salmon is a breakfast favourite, particularly at Japanese hotels, and can also be found in bento boxed lunches all over the place. But it’s also great in ochazuke, where it’s flaked and mixed into rice with green tea. No beer-battered haddock in the list so maybe they don’t know all that much about good fish, but with more than two-thirds of Japanese women answering that they like salmon, it might be the perfect thing to cook for the lady in your life, and for ladies who want to return the favor, tuna was the top choice among men.